Rarify Black - Cbl Plasma Mirror+Cbl Sky Mirror - Ski-Snowboard Goggles - SHRED. If you’re hunting for the best goggle with a large spherical lens that kills both flat light and eliminates tunnel-like vision, turn to the SHRED. 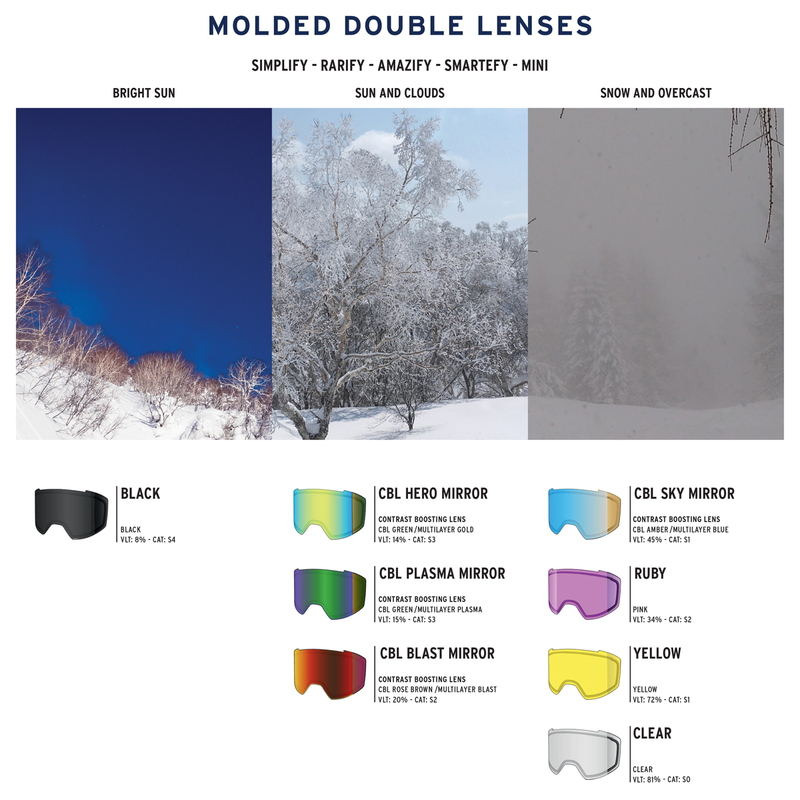 Rarify, a ski and snowboard goggle that also offers superior fit and comfort. The 2 lenses included with the goggle—a “sun and clouds” lens and a “snow and overcast” lens—feature CONTRAST BOOSTING LENS™ (CBL) and NODISTORTION™ technology to enhance contrast and image definition while SHREDWIDE™ maximizes field of view, giving you the control, confidence, and style you need to reach the next level of performance and stoke. SHRED. Rarify is compatible with prescription glasses (OTG).